This long street, to the north of the town, stretches from the Jacob van Heemskerckstraat to the outskirts of Bloemendaal. 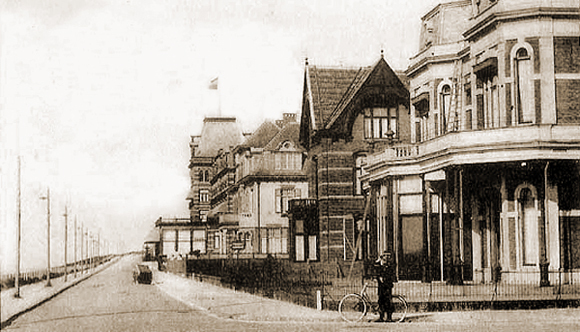 Following the transformation of Zandvoort from a fishing village to a seaside resort during the course of the nineteenth century, villas and other types of accommodation soon began to spring up both to the north and to the south of the central area. Boulevards were then laid down to give access to these properties, and it appears that their names were established prior to 1887. Consequently, the northern routes were named Boulevard Favauge and Boulevard Barnaart, and the southern route was originally named Paulus Lootstraat (later changed to Boulevard Paulus Loot). 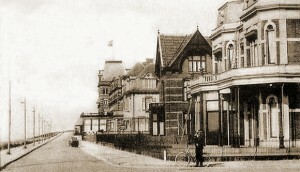 Incidentally, the northern boulevard was divided into three parts in 1940: Boulevard de Favauge (stretching from the former Hotel d’Orange to pre-war Trompstraat), Boulevard Barnaart (stretching from Trompstraat to the Bernadette tennis park at the site of the last building work), and the Zeeweg (from the tennis park to the outskirts of Bloemendaal). 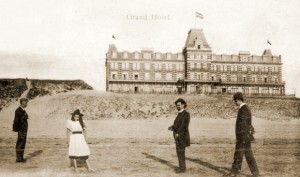 The name Barnaart actually refers to Willem Philip Barnaart who, in 1824, had succeeded Paulus Loot’s descendants as chief landholder of Zandvoort. His son Henry Gerard Barnaart succeeded him in 1851. The most famous hotel on the Boulevard Barnaart at the end of the 19th century was the Grand Hotel which can be seen at a distance with a flag flying in the photo – top right and is featured in the photo shot from down on Zandvoort beach on the left.